Let's explore one of our favorite fall fruits-Apples! 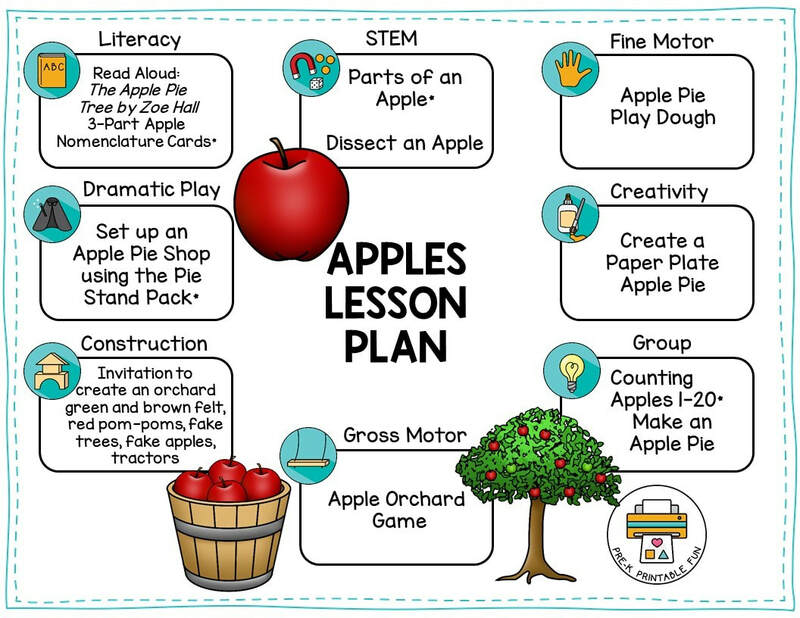 Below you will find a variety of preschool activities to compliment your Pre-K Printable Fun apple activities. Join my Newsletter and get a free copy of my sample lesson plans for the whole year! 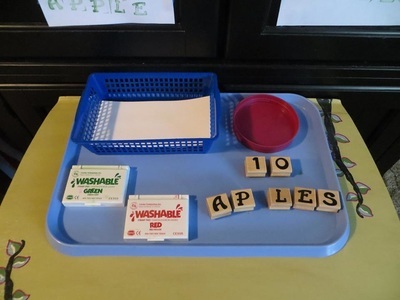 In this section you can find suggested Pre-K Printable Fun activities for this theme! Purchase these in my shop, or consider a Pre-K Printables Club Membership to save even more! Find out more. 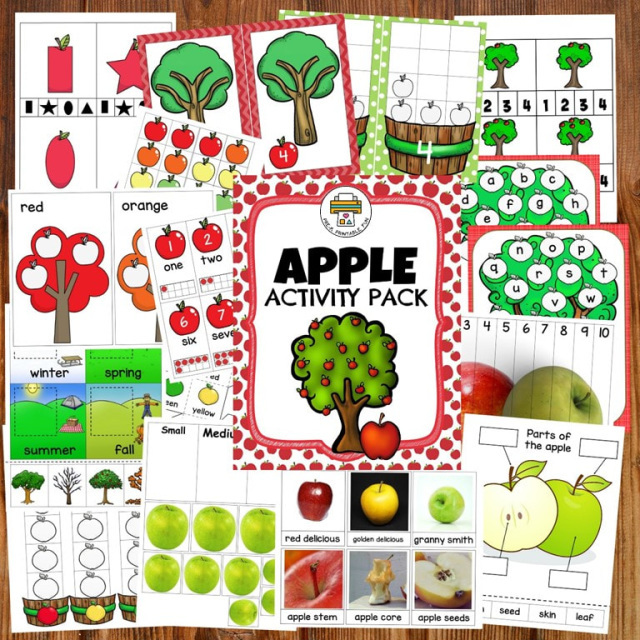 This 55-Page Printable Activity pack includes 16 apple themed preschool activities. 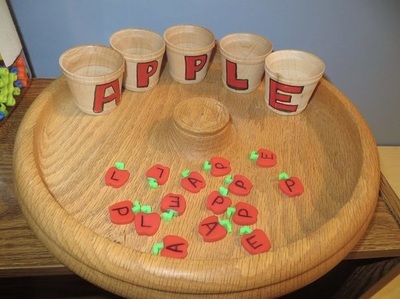 Easily turn them into a variety of hands on learning centers, tot trays or file folder games. 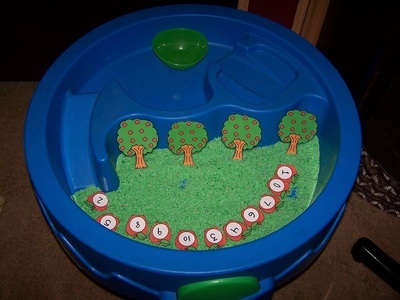 Use them to help the children in your care learn literacy skills, and math skills. 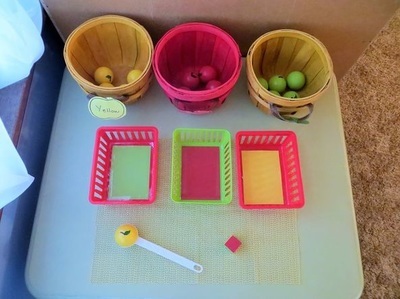 Some of the skills covered in this pack are: colors, shapes, uppercase and lowercase letter identification, patterning, one to one correspondence, counting, and ordering numbers 1-10. 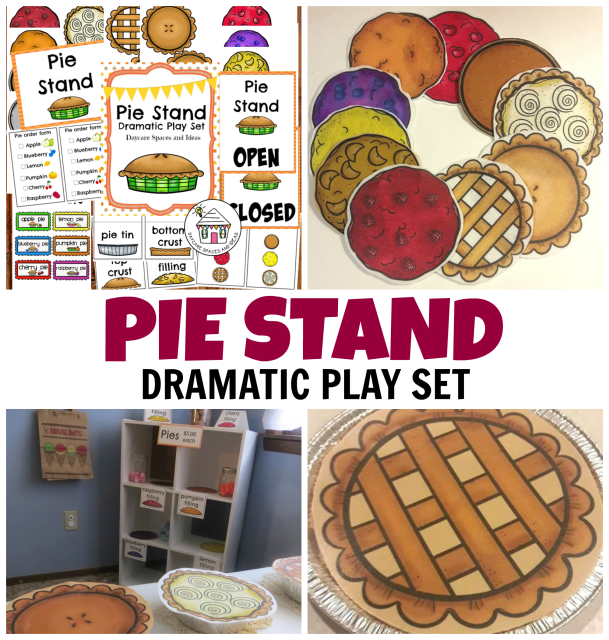 This 59 page Printable Pie Stand Play Set includes all of your pie fixings, as well as printable items to set up your Pie Stand. Take a closer look at this set! 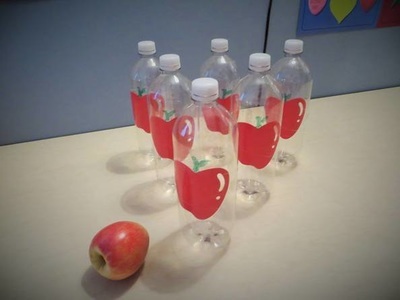 Let's learn more about the properties of fruit! 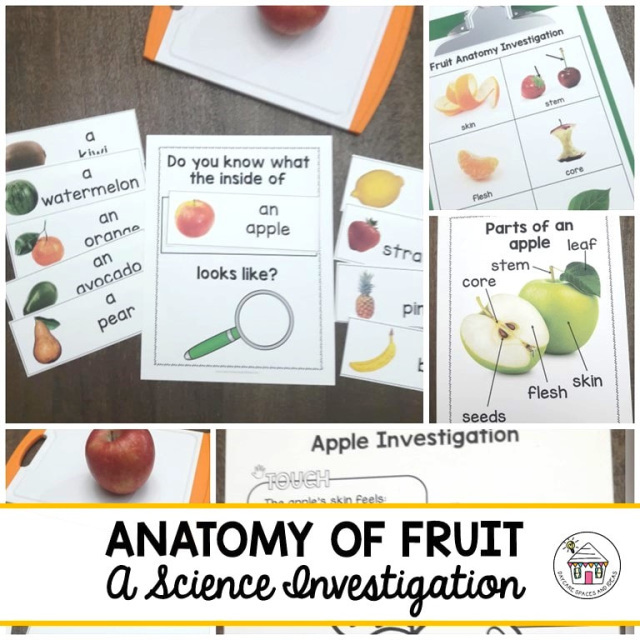 Use this Anatomy of fruit set to help young children observe, and sort the different parts of 10 different types of fruit, as well as hypothesize and record their findings! Take a closer look at this product here. 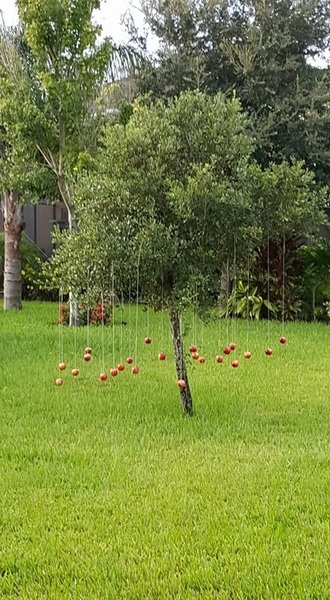 Create an Apple Stand, or Apple Pie Stand. 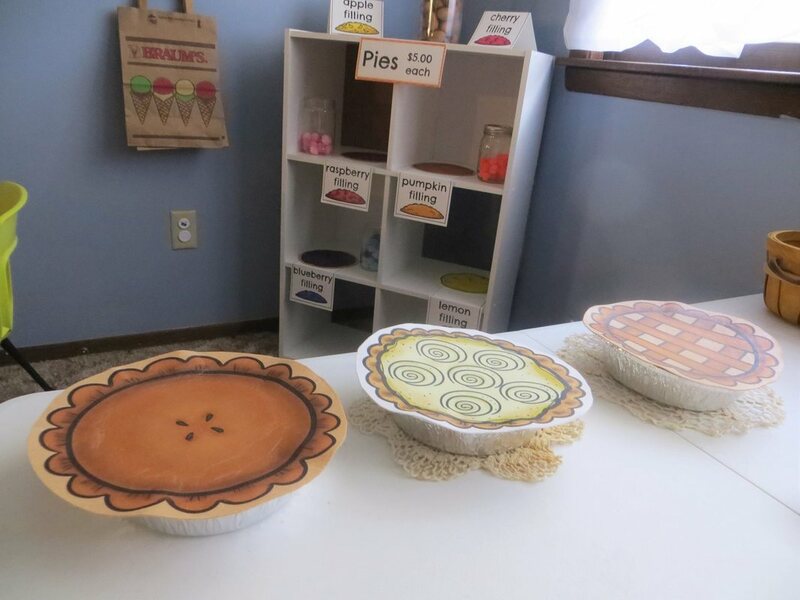 Add pie plates, Felt Crusts, and plenty of Baking Supplies (Small Cookie Sheets, Mixing Bowls, Measuring Cups, and Spoons). Sherry W. of First Friends Family Day Care. 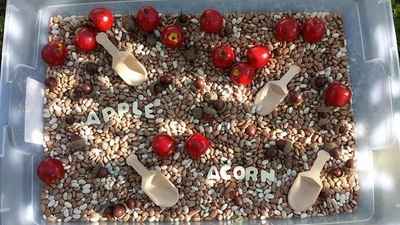 Add Small Pretend Apples or Red, Green and Yellow Pom Poms, tress and items to build an orchard. 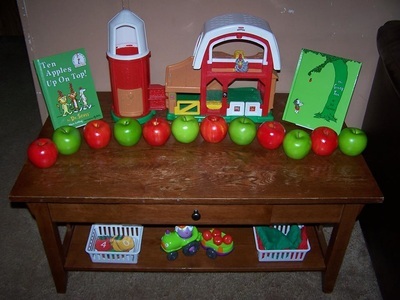 Inspiration from the ﻿Pre-K Printable Fun Community! 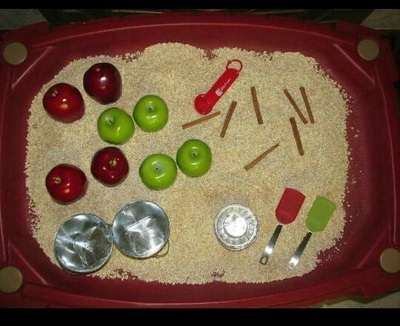 Apple sensory bin: split green peas, buckets, red jewels, apple counters and cinnamon sticks!